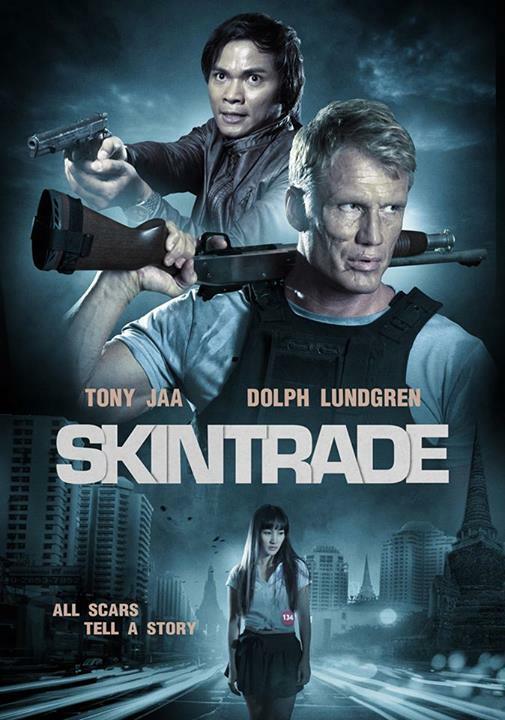 If you’ve been following my facebook page, I ‘ve been updating everyone about the film SkinTrade. I have no idea as to the plot, but know that Tony Jaa looks to fight both Dolph Lundgren and Michael Jai White. Now, MJW we all know, so that should be another fight I can cross off my bucket list, but Jaa versus Lundgren? I’ve never really seen Dolph’s martial arts tested (I mean REALLY tested) but I think we may see it here. This will be Tony Jaa’s first English language movie, so we’ll see. It doesn’t appear to have a large budget, but with Peter Weller and Ron Perlman on board I may be wrong. The trailer looks good enough, but with the Raid 2 coming next week, and will no doubt raise the bar again, I’m a bit worried for Tony. Word is The Protector 2 was a bit of a disappointment, and Tony was already “chasing” the first Raid film, and now he’ll have to contend trying to match Iko Uwais’s work in The Raid 2. So the question I put to all of you: Do you prefer Tony do a large budget Hollywood film (a la Rush Hour) pairing him with an up and coming A-list talent but provides us Tony-lite action or would you rather him do a small budget American film (Like Ninja 2) that has high B-low A level talent BUT allows Tony to be Tony? You pose an interesting question. Well, I accept the challenge with the following response: I would like to see Tony partner with an A lister like Brad Pit or Tom Cruise. As for his fight scene with Dolph Lundgren, I just don’t know. I have been watching Mr. Lundgren’s movies on Netflix from the 80’s and he is not physically the beautiful boy he was then. He looks mean these days. Like a true villain. MJW in a fair, no holds, would crush Mr. Jaa in my humble opinion. Always enjoy your fresh perspectives that you provide in your work products. Wow PJ you really think that MJW could crush Tony Jaa in real life? Anyone else agree? Yes, definitely. MJW is a thinking fighter who operates with the precision of military strategy. Like Steven Segall tosses his opponents around like a rag doll; MJW will do the same. he is in Fast and Furious 7. is that not high profile enough or something? Not really. He’s not the star of that film. He’ll be crammed in with Vin Diesel, The Rock, Ludacris and whomever else is part of that franchise. He’ll probably get a memorable moment, but it’s hard to see him getting much more than that. Kinda like being a part of the Expendables. The ground has shifted since Tony took his sabbatical. He’s playing catch-up. And with Panna Rittikrai gone it’s going to be harder than ever to duplicate his past success.